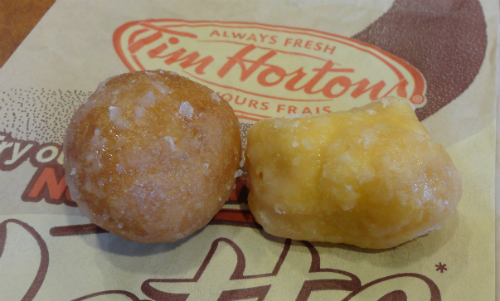 OTTAWA — Prime Minister Stephen Harper went live on an Ottawa radio station this morning to reassure Canadians that Timbits made in Vietnam, flash-frozen, and then shipped to Canada will taste exactly the same. The unusual move by Harper to give a live interview comes on the heels of the Prime Minister announcing he has granted his approval to the sweeping Trans-Pacific Partnership (TPP). “Friends. We’re talking about little deep-fried balls of dough here,” Harper told 105.3 Kiss FM’s morning hosts Carter Brown and Sandra Plagakis. National polls continue to show that most Canadians have “no bloody idea” what the TPP is with more than 80% saying all they know about the binding trade deal is that it’s a secret. Despite little or no understanding of the TPP, more than 34% of people polled say they will support “whatever the heck it is” if Mr. Harper says it’s good for them. 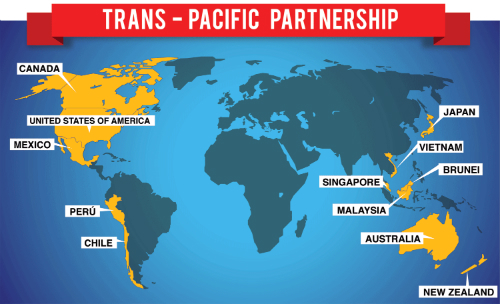 The TPP is being put into law by 12 countries: Australia, Brunei, Canada, Chile, Japan, Malaysia, Mexico, New Zealand, Peru, Singapore, the United States, and Vietnam. The Philippines was denied membership in the group largely because they don’t have anything any country wants. Most of Canada’s biggest corporations and all multi-national companies operating in the country have welcomed the TPP agreement with one coal company FedEx-ing “TPP is Good for Me” t-shirts to their shareholders. 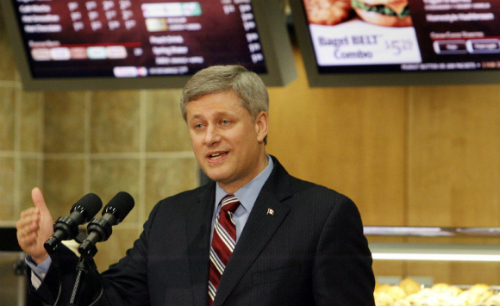 “Our auto industry workers will be re-energized by exciting new competition,” Harper told Carter and Sandra. “But the world is still a dangerous place,” added Harper over his shoulder as he left the Ottawa radio station studio. 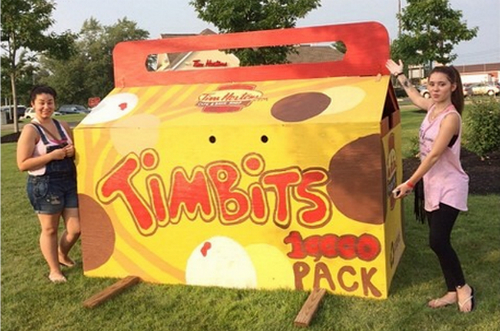 Early public reaction to the TPP agreement has been largely non-existent according to social media tracking but the Ottawa Citizen is reporting that “up to a dozen protesters” pelted Harper’s government limo with Timbits and sausage Breakfast Sandwiches as it left the Kiss FM parking lot this morning.